The Primack Lab in Popular Science! The Primack Lab's work on climate change and spring phenology in Concord, MA was recently featured on the website Popular Science! 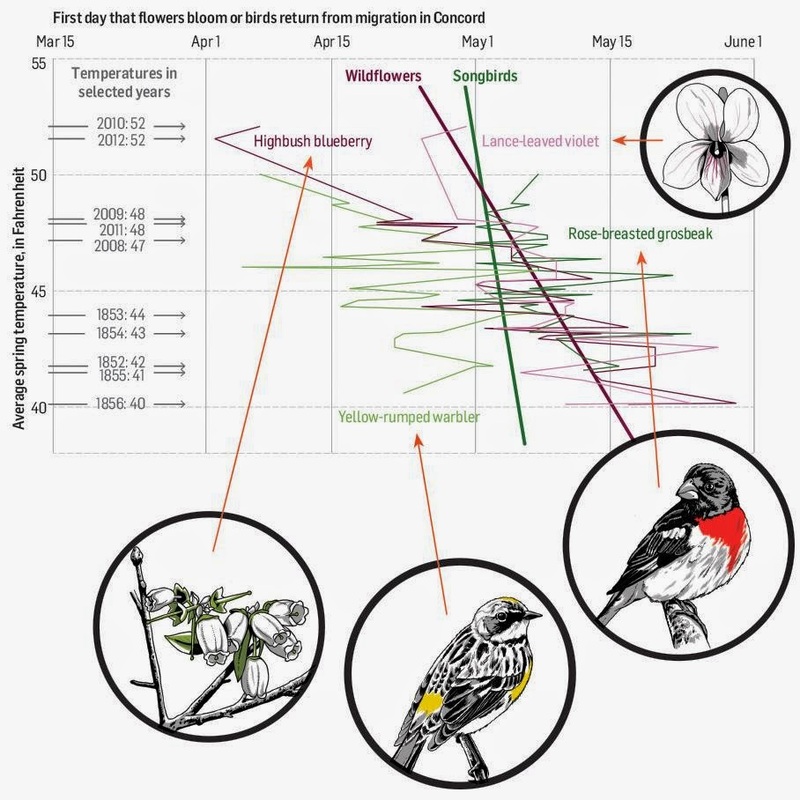 "The New Spring, Brought To You By Climate Change, In Five Charts"
Libby Ellwood and others show that flowering times are more sensitive to spring temperatures than songbird arrival times. From Caroline Polgar and others, insects, plants, and birds in Concord shift earlier in response to a single degree Fahrenheit, but their temporal shifts differ in magnitude. From Libby Ellwood and others, the Primack Lab shows how flowering dates have changed in Concord, MA since 1850, and present three possible scenarios for flowering under future climate change.